Your business card on your phone! ☆ A business card, ready to share anytime, right on your phone. ☆ Works 100% offline with a big, bright QR code that may be scanned using any QR scanner, on any platform. ☆ Can be shared using all available options – including Messaging, Bluetooth & NFC/Android Beam. ☆ Syncs with your phone ‘ME’ contact card for even better sharing (optional). In short, if you are ever likely to forget your business card – or would like to go paperless – this app is for you! 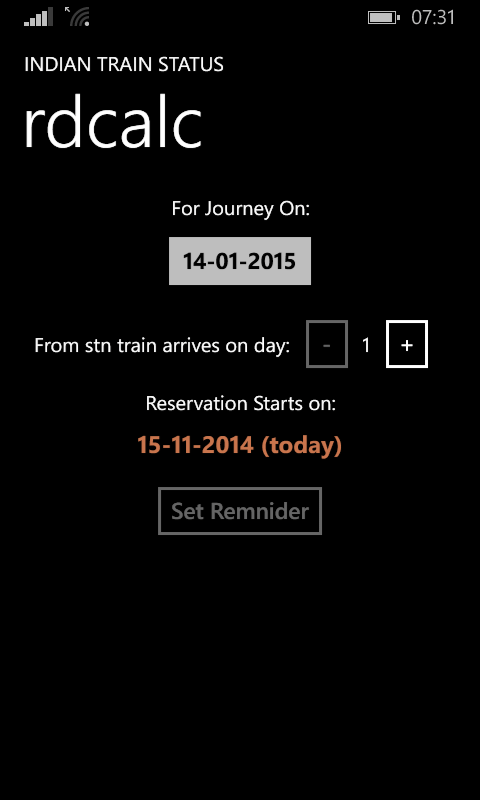 Indian Train Status & Railway Ticket Wallet apps have been fully translated to Hindi. So if your phone language is set to हिन्दी , they’ll now look completely native. May your tracks be with you! 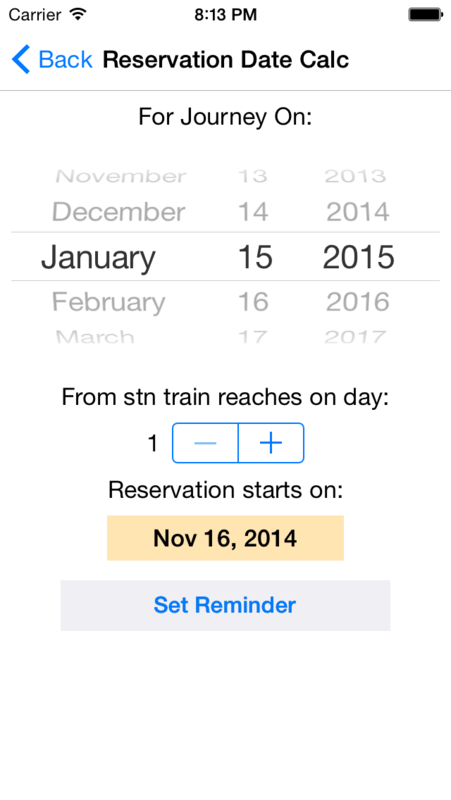 Courier Tracker now has cloud sync, so you can share your list to multiple devices, and it’s very simple to use. Already available on Android, available soon on iOS. 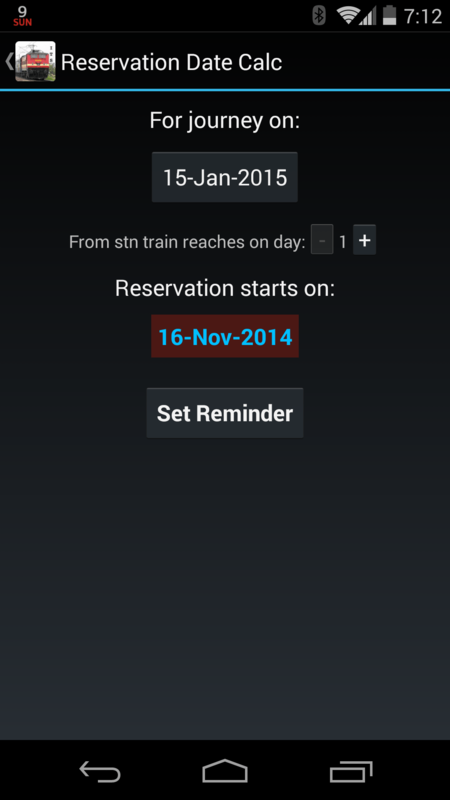 You can also set reminders for the day reservation starts. 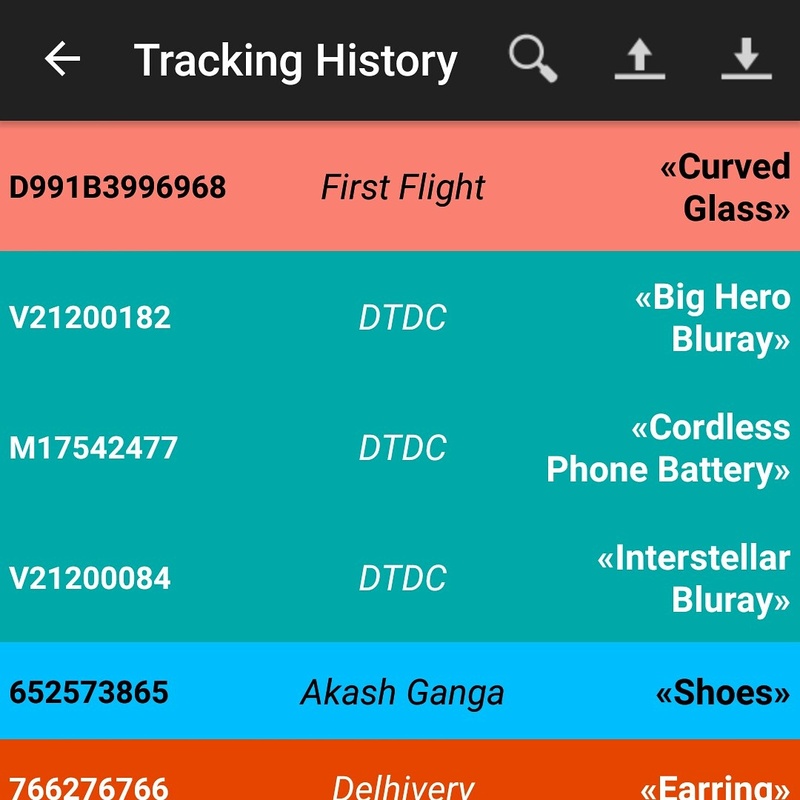 The Multi Courier Tracker Android app from Sasyabook – The Lord of the Shipments: One App to Track Them All! Support for no less than one hundred and eleven delivery companies! You really should get it now – if you haven’t already! Two of the apps here – Indian Train Alarm and Indian Train Status have been featured in an NDTV Gadgets article on Apps and Sites that make train travel in India better! List of trains between two stations.